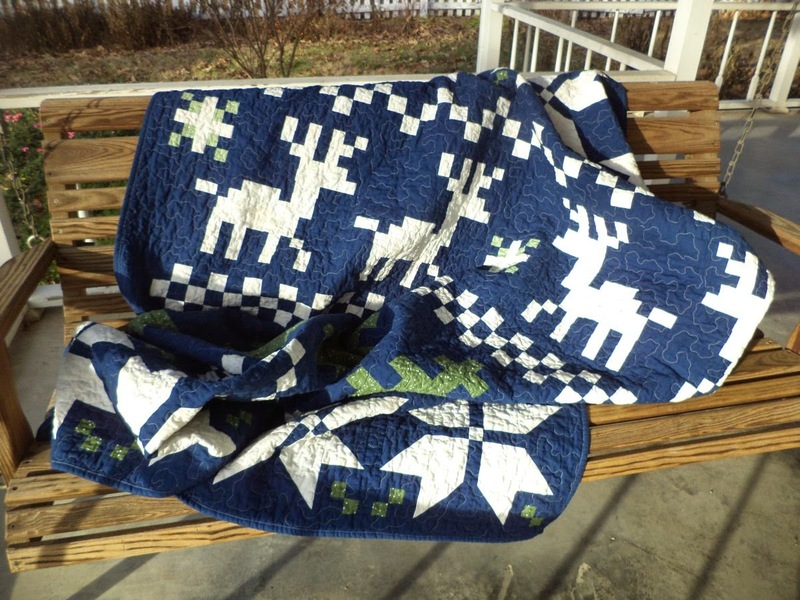 Just in time for Christmas, the Fair Isle Quilt Along is over and my quilt is complete! As you can see I changed the colors from the original. I am trying to get away from my habit of always using white as my go-to background. 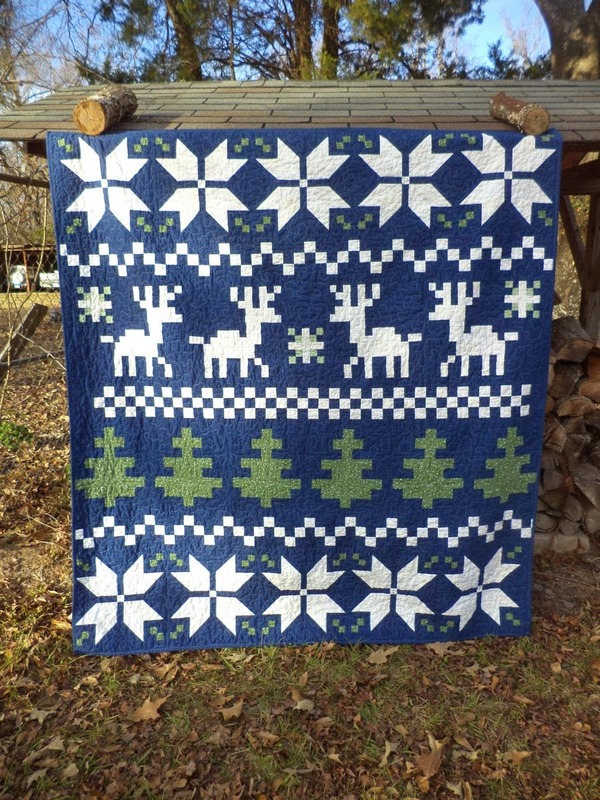 Lee designed the pattern for this quilt based on nordic, "christmas sweater" type designs. I love the blocky, pixelated looking elements, especially the reindeer. As it worked out, I just inherited 2 winter-themed flannel sheet sets. The flat sheet from one went on the back of this. Blue and white snowflakes-- perfect! There are in fact 2 shades of white/cream in the poinsettias but the contrast is hard to see. I bound the quilt in more of the blue solid that was the background. It measures a hefty 72"x77" finished and is already in use, warming toes in front of the fire! 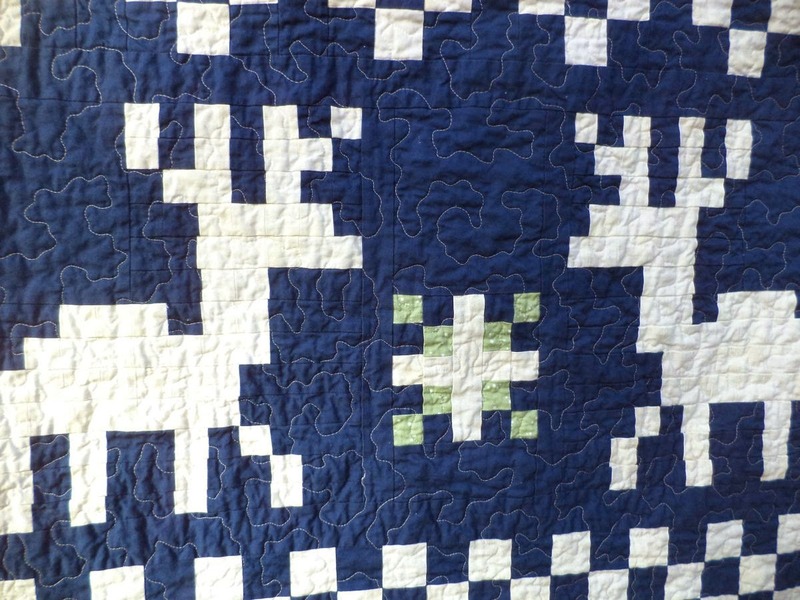 Linking to Finish it Friday at Crazy Mom Quilts and The Fair Isle QAL at Freshly Pieced. This turned out great! I bought the pattern but didn't have time to do the QAL. I'm thinking about making it for the in-laws for next year. How would you rate it in terms of ease of putting together? I love your version. One experience of white as background--the constant fear that the white would fine some dust I'd missed--was enough for me! The backing is perfect. You've done well to get it done by xmas! I love your colors and the back. It is a gorgeous quilt. Your stippling is so beautiful. The blue and green is very refreshing and beautiful-- great job! I'm so glad you took a chance with the blue background. It looks great! What a timely, super finish! The blue background really shows off the design! It turned out great! I like your color choices. Sometimes it's hard for me to imagine something done in other colors after I've seen the original so I'm hesitant to branch out. Aren't you glad you did? 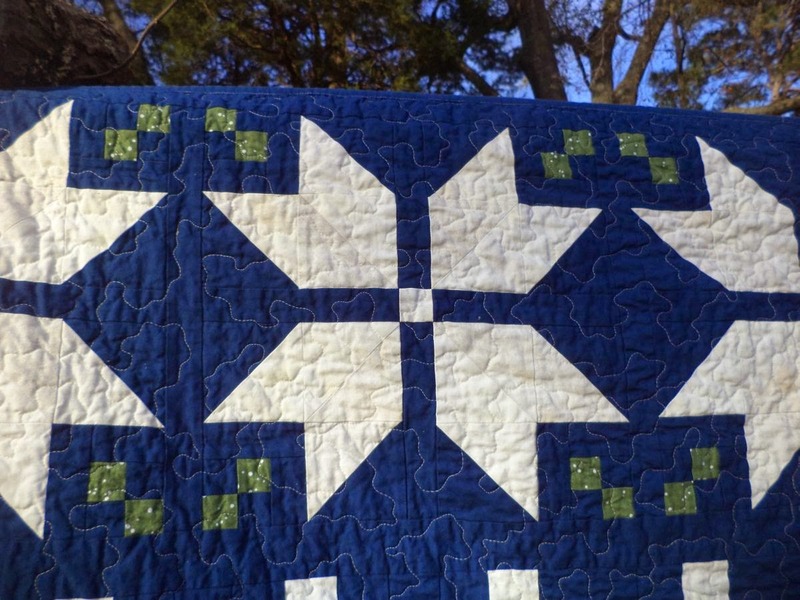 This turned out so great and your quilting and choice of backing fabric is perfect. 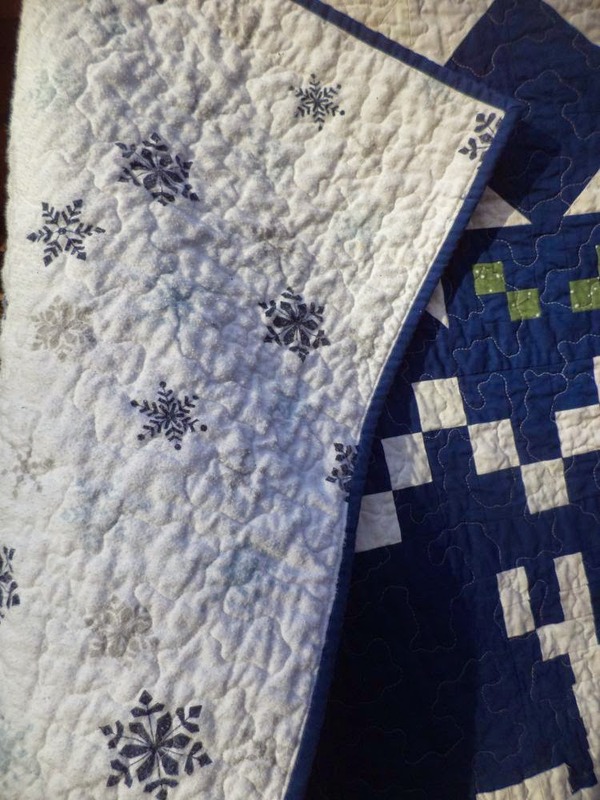 I think your palette here makes this more of a winter quilt than just a Christmas quilt. Well done!